Book Snap: Mark Roncace's "Raw Revelation"
Raw Revelation (RR) is one of those "right problem, wrong solution" books I see now and then. The "right problem" named is, that people don't read or know their Bibles, and that can be a problem. The "wrong solution" from author Mark Roncace is straight out of the emergent Christian playbook: Rather than resolve the problems in the text, we should "embrace the complexity" of a "moving, shifting, shanging" text  full of problems and contradictions. That solution might have some pull if it could be shown that Roncace had some earthly idea what he was talking about, but in nearly every case, despite being a credentialed scholar (he is a professor of Religion), Roncace's analyses of the Biblical text are barely more sufficient than an entry from the Skeptics' Annotated Bible. For example, Roncace's treatment of Jephthah is less than a page in total, and most of that is hand-wringing querying asking how we should think about this text now that we have assumed that Jephthah definitely sacrificed and burned his girl. Roncace closes the section by saying, "Perhaps we should observe a moment of silence for this otherwise unknown maiden." Why? What are we mourning here -- Roncace's hit and run method of scholarship? It doesn't get any better as the book progresses. Whether it's contradictions between the Resurrection narratives or Luke 14:26; whether he's interpreting "turn the other cheek" like a fundamentalist or accusing the NT authors of misusing OT prophecy; from the halls of complaining about it being "strenuous"  to interpret one of Jesus' parables to the shores of offering an understanding of the Trinity that would have been more smartly done by a 5th grader [128-9]; from sea to whining sea, Roncace offers a pitiably reckless commentary on everything Bible that makes evilbible.com look as scholarly as the latest N. T. Wright megatome. Say what? There are literally dozens of good commentaries out there by scholars with credentials equal to or better than Roncace's (as he surely knows), many of them explaining how indeed it is that James is speaking of manifested faith in good works (has Roncace not yet managed to locate the Semitic Totality Concept in his career as a scholar? or maybe even, looked up the context of pistis within a client-patron relationship? ), but all Roncace has to say is that a dead white guy from the 1600s who had no idea about any of this either says otherwise, so there too? Maybe that's why Roncace enjoys sitting upside down on his bicycle with his wheels spinning in the air: if he ever turned himself right side up, he'd actually go somewhere. 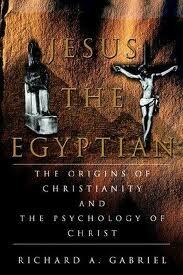 Book Snap: Richard Gabriel's "Jesus the Egyptian"
From the December 2009 E-Block. Richard Gabriel's Jesus the Egyptian (JTE) proposes yet another thesis that Christianity borrowed all it owns from Egyptian religion; the only question therefore is not "Is it nutty?" but "What type of nuts does it take from the tree?" We should begin with a preliminary comment on the author, who is a professional historian: But a specialist in military history, and thus writing well outside his expertise. We should also note that it is put out by iUniverse, despite Gabriel's past record of credible publishing; take that as a signal that he'd never have gotten it done with a serious academic press. Finally, note that unlike every other version of the "copycat" thesis that connects Jesus and Osiris, Gabriel is not a Christ-myther; rather, he supposes that Jesus did exist, and while living in Egypt learned about their religion, then started his own countercult(ural) revolution against Judaism because he was offended by being treated badly by his neighbors and kin. More on that anon. Let's start with the basics. JTE consists of 130 pages, 100 of which could have been shed and made the book much less tedious at once. Those 100 pages are too-detailed recountings of Egyptian history which do little or nothing to add to Gabriel's case. The remaining 30 pages are Gabriel's case for borrowing. Failure to recognize practical universal concepts (all except 4) -- Gabriel actually goes as far as saying that all other cultures of that time and place -- such as the Romans and Greeks - borrowed ideas like an immortal soul from Egypt , which places him in the range of lunacy espoused by the likes of Yosef ben-Jochanan. One is constrained to ask what Gabriel supposes people believed in this regard until the Egyptians allegedly enlightened them. And who informed the Aztecs of the notion? It's clearly one of those things that is arrived at independently as a matter of practical deduction. Gabriel's errors are thus primarily logical rather than historical, but when it comes to Christian history and theology he doesn't get a good grade either. This is of little surprise since his bibliography contains only a handful of sources related to NT scholarship, and includes nearly-fringe elements like Crossan and Morton Smith. Here are comments on a couple of those six as well as other points of interest. A single trinitarian god. Unfortunately, Gabriel is apparently unaware of Jewish pre-NT speculations concerning hypostatic Wisdom and the Spirit, as well as related concepts being in Assyria, Greece, etc. The ideas of hypostases is a "common solution" to the problem of how a transcendant god might interact with the mundane world, and is not unique to Egyptian or Christian religion. Even so, Gabriel's attempt to find a "trinitarian" conception in Egyptian religion is far from successful. He appeals to a supposed "trinitarian conception of god" found with the entities Ptah, Sokaris, and Osiris in a document called the Memphite Drama. While he is right that triads may be found frequently in Egyptian religion, Gabriel is oblivious to the reason for it. That reason may be found explained here, the first page of an article Gabriel lists in his bibliography but somehow manages to not report the full contents of, particularly where it explains the practical reason why triads were so common. There is no more reason to claim "borrowing" here than there is to see "borrowing" between a Yugo and an Audi because both have four wheels. Resurrection of the dead. This one is simple, for all Gabriel does is improperly define "resurrection" so generally that it loses its correct meaning (see again our Oct. 2009 article, as well as our response to D. M. Murdock in the same issue). A parallel is thus created illicitly. Gabriel becomes more outlandish in his claims as the book progresses. He makes the outrageous statmement that "[i]ncarantion is a very sophisticated concept and is unlikely to have been developed independently and out of whole cloth by a Jewish holy man living in Galilee..."  It didn't have to be; the idea was present in Old Testament theophanies. Gabriel tries to force a dichotomy by saying that this wasn't a concept in which the deity incarnated into a body that could e.g., die or be harmed, but that is merely a secondary extension of the primary idea of incarnation. It is not a "sophisticated concept" in the least and additionally, despite Gabriel, Osiris was not "incarnate" in a human body; he had a divine body like that of the other Egyptian deities. It envisions Jesus as a radical individualist in a time when collectivist thinking was all that was available. It must suppose that Jesus was put on trial for disputing Jewish "monotheism"  -- a questionable category to apply to Judaism of the time to begin with (here again, Gabriel is unaware of the thesis of hypostatic manifestations of deity in Judaism), and also found nowhere in the NT text among the accusations delivered by Jesus' accusers, or in the secular record of Josephus. If anything, it was not so much that Jesus claimed this identity per se; the problem was that he was claiming honor over and above his station by claiming that identity. It forgets to explain the step wherein Jesus preached belief in Osiris and Isis, and somehow made himself the object of faith, as opposed to Osiris or Isis. Gabriel makes the astonishing claim that Jesus is rarely depicted as practicing Judaism in the Gospels . What about his teachings in synagogues as an adult? What about his profession that he came to fulfill the Law? What about his disputes with the Pharisees over fine points of Jewish law, and absolute mastery of the OT? What about his direction to Peter to contribute to the Temple tax? Gabriel's absurd theorizing in this regard reaches a climax with a forced eisegesis of Gal. 6:17, where Paul speaks of having the "marks of Jesus" on his body. The best contextual understanding is that these "marks" refer to the scars Paul has as one persecuted for his faith. As Witherington notes in his Galatians commentary, this makes sense of the place in Paul's argument, in which he compares himself to the agitators and uses the marks as the subject a conquestio, a "final remark which stimulates pity for the speaker and his cause." Paul is also likely metaphorically indicating that these "marks" are like the brand of a slave, for him as one who is a slave of Christ. Gabriel is aware of these interpretations, but rejects them in favor of an outlandish proposition that the "marks" were tattoos that Paul was claiming to have which he wished for his audience to understand where tattoos of the Jesus cult, related to the Egyptian practice of magic (but which were actually tattoos of the Attis cult, which Paul had once been a member of, which is logical to assume since he had "a propensity to change religions"! ). Needless to say, such an identification does not cohere with the purpose of a conquestio as a rhetorical element. Gabriel is unaware of any of this, save the idea of the marks as a slave brand, which he rejects by saying that Paul had never been anyone's slave (he misses passages like Rom. 1:1, where Paul calls himself a slave of Christ). In sum, while the ride Gabriel offers us is nowhere as wild as that offered by, say, Acharya S, the scholarship he offers is quite nearly as dismal. Dave Hunt has been writing books on cults and eschatology for well over 25 years now, and there's at least one book for each of those years. The Seduction of Christianity, it so happens, was one of the first dozen books I read when I first became interested in apologetics; the fact that Hunt was one of the few authors who strove for extended documentation of his claims was something I found quite impressive, and in a certain sense it is not unfair to say that Hunt thereby was one of several writers who influenced me. It has been well over 20 years, though, since I last read anything by Hunt. Time and experience led me to far more qualified authors. But now, as we return to Hunt for the Heralds of the New Age Past series, we will ask the same questions we asked of Constance Cumbey in Part 1 of this series: In his highlighting of persons of influence in the New Age Movement, are these really important people with the power and influence to make drastic changes in our society? Or was Hunt simply too anxious to see in some of these people "signs of the end times" and so did he give them more credence and power than they really deserved and had? The question is already answered in part, inasmuch as Hunt chose to give space to Benjamin Creme and David Spangler -- two persons we also visited in our response to Cumbey (October 2009 E-Block). But there is more to say in qualification first. I am pleased to say that I find very little in Hunt's methodology that warrants significant criticism (at least in Seduction). He did not go the extremes of Cumbey in terms of hysteria; his tone throughout is even, if perhaps a little too pedantic and preachy. (There's nothing wrong in principle with repeated doses of, "The Bible says..." but one would hope for something less fideistic for the sake of cognitive clarity.) Nevertheless there are times when we see a lesser version of Cumbey's mistake of giving too much credence where it was not warranted. For example, Hunt cites Georgi Lozanov  as a figure offering New Age teachings. Well and good, but by itself this gives little indication of the depth of accomplishment or influence Lozanov had. It is well to know and be warned of Lozanov's "suggestology," but it would be nice to know whether it is widely respected (and therefore be of any impact in the future) or whether it is regarded as crackpot science by the mainstream. So far as I can determine, the present assessment of Lozanov is that almost no one cares enough about his methods to make a serious evaluation. Other persons highlighted by Hunt turned out to be more bust than boom. Andrija Puharich  lived up further to the nuttiness of claiming to be in contact with aliens from "Hoova" as Hunt reports, as he associated himself with the fraudulent Uri Geller. Having died in 1995, his memory is preserved only by the good fortune of living into the age of the Internet. Brian Josephson , although a credible physicist, is regarded as seriously deluded by his peers with respect to his interest in psychic phenomena. Others cited by Hunt, such as pseudo-Christian teachers Rodney R. Romney, Ralph Wilkerson, and Casey Treat, remain relatively obscure/fringe figures, or have else been overstepped by more prominent personalities, or have even (like Robert Tilton) descended into disgrace. It must be conceded that hindsight is 20/20, but Hunt probably should have been more intent on laying out just how influential these persons were in that time decades ago, rather than allowing readers to reach their own conclusions. One might wonder if that would have really been necessary, but indeed, if Hunt wished to argue that such teachers were paving the way for an Antichrist figure, it would indeed have been necessary: If such a figure were to emerge, it seems unhelpful to be told that our grocery store's local produce manager is in charge of the Antichrist's election campaign. Change that from "produce manager" to "senator" and we may have something to be concerned about. The heart of Hunt's warnings, however, were ways in which New Age thinking had infiltrated certain quarters of the church, and here, Hunt was in step with warnings issued by other credible ministries about "Word Faith" teachers like Copeland and Capps, as well as "positive confession" teachers like Schuller and Peale. He was certainly on target (if not fully congnizant of why) in his criticisms of emphasis on "self-esteem". Perhaps Hunt's only lack in this regard is overwhelming the reader with material even after the point has long since been proven. So what of Hunt's clarion call in retrospect? Hunt could certainly not have anticipated that indifference and intellectual laziness would have resulted in Schullers and Peales being replaced with shallow teachers like Osteen and Meyer whose teachings offer so little substance as to barely be dangerous, in an eschatological sense. Where Hunt anticipated that New Age thought in the church would usher in the Antichrist, we ended up with nothing but vapid television personalities. The irony of "progress" in this regard is well illustrated by the criticism offered of Peale (rightly) for acknowledging a Mormon leader as a "great man of God and a true prophet". We have moved today to the point that someone like Osteen, asked about Mormonism, doesn't even know what it teaches. Still and all, Hunt did well in blowing the horn even if it turned out that the oncoming vehicle was the size of an ant. Our last Popular Pastors feature was on Charles Stanley; this time we have another Charles -- or not. Charles Swindoll prefers to go by “Chuck” and that’s appropriate enough: Stanley, as uptight and as stern as he can be, isn’t the sort you’d expect to want to be called “Chuck”, but Swindoll’s easy humor and breezy style speak “Chuck” from every page. It reflects something else here thematically as well. I am pleased to say that Swindoll is far less deserving of criticism than any popular preacher we have examined so far. This is not to say there are not problems, and we shall see that some of them may be expressed in terms of paradoxes (hence the title). Nevertheless Swindoll is the most earnest and most responsible of the authors we have examined so far when it comes to handling and interpreting Scripture -- though that in turn may not say very much. Swindoll is gifted as a narrativist, drawing heavily on personal anecdotes and only infrequently taking more from Scripture than is warranted by the contexts. In most cases, when he does err in this fashion, it is from the sort of thing even scholars are guilty of (eg, reading modern ideas of “guilt” into the text, which would not cohere with the Biblical world as an honor and shame society). Yet it must be said that in this way, Swindoll paradoxically exemplifies the best of what is found in the worst: He is doing the absolute best that a popular pastoral preacher and teacher can do, which quite frankly, will never be sufficient and will always, inevitably, lead us down the same problematic paths we have found in our prior subjects: An overfamiliarity with God; epistemic problems with knowing God’s will, and too-easy surrender to non-knowledge. As it turned out, between these 8 selections we ended up with a fairly comprehensive look at some of Swindoll’s views on topics we have been discussing here of late. And with that, let us begin with an evaluation. I have said that Swindoll manages to be the best that a popular pastor can be, and that this isn’t very good. Why? Swindoll limits himself primarily to two types of sources when it comes to exegesis and interpretation: He appeals either to badly dated commentaries (eg, Matthew Henry, 1662-1714!) or else to other popular pastoral writers (Spurgeon, Tozer, etc.). In terms of apologetics, Swindoll apparently believes (sigh) that Josh McDowell offers the best that can be found. SYG 45 – Swindoll claims that martyrdom in the 1st century was as common as “traffic jams are to us – an everyday occurrence.” This is not at all the case; social persecution of various types was that common, but it far overstates matters to say that martyrdom was. FCF135f, 158 – Swindoll wrongly defines the word “image” in Genesis 1:26 to mean we have personality, a heart, and emotions like God does. While not as egregious an error as the Mormon claim that it means God has a body as we do, it still misses the correct definition (which is that “image” is to be understood in terms of humans being God’s authorized representatives) and is used to derive false (albeit not heretical) conclusions about the nature of God. DAD – This book, which is a commentary on the passion narratives of Jesus, contains an extraordinary number of errors; I found myself wishing Swindoll would read our piece on the trial of Jesus. Swindoll makes the very odd claim  that Barabbas is mentioned by Josephus, but offers no citation in support of this claim. (Barabbas isn’t in the index for Josephus.) He also in this book [260-1, as well as in E96] uses portions of Mark 16:9-20 as though they were authentic (which any study Bible will tell you, it is not). M9,222 – Swindoll says that archaeologists have “unearthed obelisks and monuments and columns” validating certain events in Exodus, but no source is given for this claim. M37 – Swindoll notes that Josephus says that Moses was raised to take the throne of Egypt, since Pharaoh had no heir. Of this he says: “That seems like a sound assumption; no doubt, historians bear this out.” Unfortunately, rightly or wrongly, historians do not “bear this out” and tend to doubt Josephus on this point (though it may have a degree of truth to it). Swindoll is unwittingly encouraging a view of Christians as uncritical here. M308 – Swindoll argues that Moses broke the tablets of the Decalogue in anger and that God did not approve . In truth, Moses’ actions indicated the breaking of the covenant by the people and, whether he was angry or not, were highly appropriate. E78 – Swindoll believes that the people of Israel were silent after Elijah’s challenge to choose God or Baal because they were “linger[ing] in the neutral zone” of non-commitment. In that social setting, it is far more likely that the people were shamed by Elijah. FCF162 – Swindoll wrongly thinks that agape is a “uniquely Christian word”. This mistake was also made by the atheist Edmund Cohen (see here) and I have a suspicion, since he uses him as a source elsewhere, that Swindoll misread Barclay the same way Cohen did. Swindoll’s errors in this regard are all the more puzzling because, paradoxically, he otherwise seems quite interested in establishing a proper factual background for his readers. There are even occasional “apologetic” notes in his text: At E82, for example, he replies to critics who say Elijah could not have poured water on his altar because there had been a drought; Swindoll replies properly with the amusing “Oh, duh!” answer that the event in question took place right near the sea, so there was plenty of (undrinkable) water available. FCF13 – Swindoll declines to get too deep into a subject, because “I have no interest in entering the arena of a debate that was going on long before I was born and will continue long after I’m gone.” Is that the attitude of a responsible teacher? Did Jesus decline to engage Pharisees on matters of legalism because legalism was a debate that was going on before he was born and would continue log after he ascended into heaven? FCF22 – Swindoll will not get into too much detail on some issues, for: “Why should it thrill anyone to be able to explain the difference between grieving the Spirit and quenching the Spirit? So what if the day-to-day evidences of His power are absent?” Is it not conceivable that some cult or wayward group might err precisely on some such point as that difference? And aren't the "evidences of His power" guaranteed by the evidences of God's actions in history -- not vice versa? FCF256 – Swindoll disdains those who “see themselves as answer-givers rather than question- askers.” Isn’t the object of questions to get answers? FOG12 – We are told that theologians “have done a poor job of communicating their subject” and have been using “clergy code-talk, woefully lacking in relevance and reality” “in-house jargon, seldom broken down into manageable units for people who aren’t clued in.” This is true to an extent, to be sure, but Swindoll apparently doesn’t realize that there is a “lower limit” to how far some things can be simplified, and at such points, readers simply need to buck up and become serious disciples. On the other hand, as a teacher, it is his responsibility to translate the "code-talk" and "jargon" for the average person as well. DAD177-8 encapsulates the whole paradox in one statement: “Dumbing down solid truth won’t cut it on subjects like these,” he says, but “there’s no reason for me to bore you with uninteresting theological trivia either.” To put it mildly, as expressed, these are contradictory sentiments. By all means, let us strive to make things interesting, but let the reader not cry “boredom” either. What Swindoll calls “trivia” here are concepts that the Apostles and prophets devoted their lives to communicating. In this regard, we may rightly wish for Swindoll to have been a little more responsible with his material. Our one consolation is that such mistakes as are made are few. In addition, Swindoll also has a few harsh words for those who engage in what he calls “theological voodoo” [MGW46] in supposing God is communicating with them. At MGW39 he uses the example of a man whose car stalled in front of the Philippine embassy, and took it as sign he was to be a missionary to Philippines. These are certainly wise words from Swindoll. Nevertheless, what he offers in place has much the same capacity to lead the injudicious astray, and affirms yet again why prophets were subjected to the test of accuracy before they were accepted as prophets. In this, I would have to say Swindoll is much closer to the truth than others we have studied, both Scripturally and in social terms. As I have noted elsewhere, the Holy Spirit as an indwelling element in the life of the believer seems from these perspectives to function much like a conscience. Swindoll thus has the mechanism spot on, but what about the means? How are we to discern indeed when those promptings and circumstances are from God? Beyond the obvious answer that these things will not contradict God’s Word ( “those unidentified inner promptings won’t contradict anything biblically”, FCF150), Swindoll comes very close to providing an excellent test when he says at M97-8, “...I’m not saying that every coincidence is God’s burning bush in your life” and refers to “extremely unusual events” as guideposts for when God is speaking through promptings and circumstances. The only difficulty then seems to be that Swindoll is too ready to define events as “unusual” when it is questionable whether they are. For example, at MGW43, Swindoll describes how he believes God kept bringing back to his mind a career change option he kept refusing: Phone calls from friends, advice from others, and other events, he was persuaded, were God’s way of telling him to take this option, which he eventually accepted. Is this as good as a Deuteronomic test? I have my doubts. It seems just as likely, if not more so, that Swindoll’s friends and associates wanted to be an encouragement to him because they thought he would do well in the new position. This of course would still be good reason to take the position, but not sufficient reason to think God was behind the encouragement in a direct, managerial sense. At FCF71-3, Swindoll indicates that he believes that the Spirit was a calming influence on him at a time of tragedy. Perhaps He was. Or perhaps this was a sort of psychological comfort that came from recognizing God’s ultimate sovereignty. There is simply not enough information to say. At FCF171, Swindoll refers to a woman who had uneasy feeling as she went down aisle to be married, and notes that her marriage failed. From this he thinks this proves that she should have trusted her feelings. Perhaps. Or we may just as well ask, where were these feelings during the dating and engagement period? Did this woman in some way cause the marriage to fail, because she thought the feelings may have genuinely been from God? Only at MGW194-5 do I find any incident reported by Swindoll to pass the “prophet test”. It is a story of a man who wondered if he could become missionary to Uganda. As a member of the Navigators, a well known evangelism ministry, he went to Uganda to check things out, and ended up in an obscure motel room staying with another guest – who, it turned out, had previously obtained some Navigators literature and had been praying for someone to Uganda from that organization. And as it so happened, the Ugandan man had the resources to help the missionary get set up in the field, find place to live, and so on. All coincidence? That hardly seems likely. The combination of unlikely correlations testifies rather that there is some level of divine influence at work. So in summary, I am pleased to say that Swindoll has the right idea when it comes to God’s methods of communication, but is still nevertheless to ready to hear those communications where it is not warranted to suppose they are there. My own default is that the Spirit is not moving where it is not obvious. In contrast, Swindoll’s default is that the Spirit is moving, and his reason for thinking so is essentially, “Well, why not?” (FCF93) This is not as disastrous an epistemology as the Mormon burning in the bosom – but it still has a certain degree of pending disaster within it. 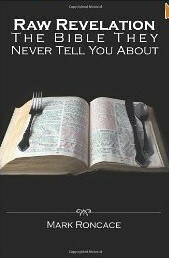 It was a relief to find that Swindoll is not inclined to see Satan under every rock, wishing to ruin family barbeques and parties just to get in a little temptation action. Indeed, I found Swindoll crediting Satan for effects less than a half dozen times in these 8 books (as at SYG 35, where he refers to the “devil’s strategy for our times”). This is not an unreasonable way to regard Satan’s activities if indeed one assumes that Satan is still active in our day and age: Not as a micromanaging party pooper, but as a broad, sweeping influence on the cultural zeitgeist. With this issue we again enter into a paradox. On the one hand, at DAD217, Swindoll warns against treating God as a “Divine Bellhop” and at M269 refers to the “pitifully shallow” ideas of God as “our buddy – a great pal to have in a pinch.” He further [M270] refers to such ideas as “man’s feeble attempt to make God relevant” and denigrates the “cheap twang of such a concept of God” as opposed to a view of God as holy. At M277, Swindoll says we need a place “where you can sit down and enjoy some uninterrupted fellowship with your Lord” and “meet regularly with God.” However, he does at least indicate that these times are to be entered into with serious preparation. At SYG155, Swindoll commends young Christians who pray and “talk to God like He’s their friend”. CF15, Swindoll refers to the “sheer ecstasy of walking more intimately with God”. At FCF27, Swindoll describes the role of the Spirit: “There are scars He wants to remove. There are fractured feelings He wants to heal.” How can Swindoll disdain the idea of God as “Divine Bellhop” while endorsing an idea of God as Divine Personal Therapist? Thus the paradox: Is Swindoll for or against “God is my buddy” theology? Conceivably, Swindoll might say that it is a matter of degree, and that he is not promoting God as a buddy in a certain sense. But it is hard to see where he has drawn the line. The dedication of MGW contains an interesting comment in this regard. Swindoll says, “[God] has sometimes been so close we could almost feel the flapping of angels’ wings...but at other times, He has seemed so distant we felt strangely confused, even abandoned.” I would suggest in response that this paradox Swindoll is wrestling with is the result of his presumption that God is, to some extent, meant to be familiar to us. In contrast, we have resolved the issue here by saying that, like the ancient patron, God is not meant to be that close and familiar to us – that the desire for closeness is a product of a modern, Western development of personality, and a case of moderns remaking God in their own image. I believe Swindoll is earnest in his wrestling here – but that he will not be able to find an internally consistent solution as it now stands. Although Swindoll does not have a story of being blessed by finding a good parking space (! ), as Osteen and others have, the sort of theology such stories imply is present to a less controversial extent. In line with the above question of the familiarity with God, the critical question is, how involved indeed is God in our daily affairs? Our answer is that there is little reason to suppose that God is involved with the world on a microcosmic scale – and that human sin (which is in essence a message to God that we do not want His interference) ensures that God will intervene only when it suits His larger purposes. Nevertheless, it is also not our place to say when or if God in indeed intervening in a situation; the only way to be sure is through some sort of “prophet test” as described above – though even then, of course, God can intervene any time He pleases. The question is whether He does. In this regard, Swindoll again has his default on the side of “God does intervene” – and again one of his reasons is, as at M201, “How do you know He doesn’t?”...”[H]ow do you know He isn’t calling you?” It is true that we cannot know with certainty when God is acting, apart from something that functions as a prophetic test. Yet it is hard to escape the conclusion that this seems to be Swindoll’s attempt to add God to an equation, where reason or available opportunity is sufficient causation – and that, in turn, is based on Swindoll’s presumption of God as the subject of intimate familiarity. ST 277 offers a memorable account of how to have ministry like Meyer's: "...if God calls you, He opens the doors. He apprehends you, prepares you, provides the money, gives you favor, and makes it happen." Indeed? Some years ago, the same advice was given me by a Christian magician named Felix Snipes. Snipes engaged in tactics like "pew packing" to build his audience; and yet he would say that if people did not show up for your ministry services, then this indicated that the Holy Spirit was not in what you were doing. Nonplussed, I asked Snipes how one might discern between the Holy Spirit not being in what one was doing, and the audience simply not being receptive to things they needed to hear and see. Snipes had no answer for me on this, but merely fumbled about vaguely saying that that was something you needed to figure out. Indeed so. Meyer and Snipes arrive at their views via a notion of God as a micromanager; why is it not simpler to say that this is a view of God that is wrongly read into Scripture? In this light, I believe authors like Swindoll too frequently resort to pious but misguided rationalizations: “You’re moving in the realm of the flesh.” “You’re not waiting on God’s timing.” “God is using this failure to test or hone or humble you.” “You’re supposed to learn something from this failure.” “It’s part of God’s unsearchable plan.” And so on. Do these sorts of responses really suffice, as Swindoll supposes, when we are faced with a young person dying too soon with an inoperable brain tumor? [MGW206] Is it really reasonable, satisfactory, and respectful towards God to say (as as MGW64-5) that a promising seminary student who died a few weeks after graduation, may have actually ended up blessing more people because of his premature death than he would have had he lived? Apart from the evidence of being able to view multiple timelines, there is no way such rationalizations can stand the text of examination. M132-3 offers another epistemically problematic tale of a man who was turned down for a loan because he didn’t make enough money. As Swindoll reports, the man did not get angry or try to correct the problem; rather he put it in God’s hands. A few hours later, the lending organization called back, saying there had been an error in the calculations; he did make enough money for the loan after all. As a result, the man credited God with a blessing. But is this epistemically sound? Hardly so: Did God originally cause the mistake in the figuring, in order to bless the man with the reversal? It is well that the man did not get angry, but would it have been wrong to ask that the figures be checked? Can we find examples of people who put things like this “in God’s hands,” then did not get the loan (or what have you), although they would have, had they been persistent and unearthed he error – and then, explained away their loss as “part of God’s unsearchable plan” or “a way God has of teaching us a lesson”? At MGW19, he argues that either the world is “out of control, spinning wildly through space” or God is micromanaging. This is a simple black and white fallacy – is there no in between view? At MGW177, Swindoll rejects the view that God is not “involved” in our lives as contrary to Scripture. But what he quotes as proofs as Biblical statements of God’s omniscience (Job 28:24, Ps. 139:3, Prov. 5:21) – all from proverbial literature, as it happens. These verses say much towards God’s awareness of events, but say nothing of His involvement in them. Finally, at FCF57, Swindoll advises, “We need to take God out of our man-made box.” It is good, on the one hand, to remember that we cannot limit God. Yet paradoxically, Swindoll also warns at FCF125, “Don’t start looking for the face of Jesus in an enchilada,” and so on. Isn’t it “putting God in a box” to say He can’t put Jesus’ face on an enchilada? Once again, the problem is where Swindoll decides to draw the line – he preserves a box around God at one level while insisting we can’t box God in on another level. Epistemically, Swindoll’s position is internally inconsistent. SYG 22, 26: Swindoll heavily emphasizes relevance and authenticity in his teaching. He does not cross the line into emergent thought here because he offers this emphasis while not also sacrificing accuracy (at least not intentionally) and while not becoming so “relevant” that he refuses to offend anyone. FOG72-4: Swindoll refers to Phil 1:15-18 and says of it, “Rather than being discerning, you may have become too narrow and rigid!....Even ministries that may employ a few deceptive motives, even churches that you choose not to attend, Paul said, in effect, ‘I rejoice that at least Christ is proclaimed.’ “ Further he says, “Don’t waste your time criticizing other ministries.” Attend to your own, he says, and furthermore, if that isn’t what Phil 1:15-20 teaches, “then, frankly, I’m at a loss to know what it means.” His point: Don’t assume your church is the only one with answers; there is a range of churches from the “superconservative to the loosey-goosey extreme.” But: “People attend every one of them. They choose to go there because they are ministered to and because they are comfortable with the style, the approach , the objectives.” Here again, Swindoll does not quite cross into emergent territory because he is only dealing with “style, approach, objectives” – an emergent teacher would go farther and include “doctrine” in that mix. Nevertheless, Swindoll’s rendering of Phil. 1:15-20 is not accurate. He supposes that because Paul rejoices in Christ being preached even by those with bad motives, this means we should not correct or stop ministries that are “deceptive”. Swindoll has failed to perceive that Paul is, first of all, implicitly criticizing those who teach with bad motives for doing so; that they still manage to preach the Gospel is a coincidental side benefit, but hardly inures them from his criticism. Second, in terms of honor, Paul’s rejoicing in this matter is essentially a slap in the face to those who oppose him by teaching with bad motives. Finally, the critical issue here is indeed honor: These others seek to steal from Paul’s own honor as an apostle. This is far from giving license to ministries who use “deceptive motives”! I have said that in Swindoll, we have the best that a “popular pastor” can do. He is earnest, he is a gifted writer, and he clearly has an authentic concern for his readers. Nevertheless, shallow scholarship will not be erased by such factors, and in the long term, will do harm that can effectively erase the good that come of those factors. If indeed Swindoll would add effective scholarship into his arsenal, he would become a much more credible (and incredible) force for change. Book Snap:Chad Meister and James Dew's "God and Evil"
For this one we turn the reins over to Nick Peters again, as it's his specialty subject and not mine. I’ll state something important right at the start. I’ve never really been frustrated by the problem of evil. It is true that suffering has bothered me in the past and will in the future. It is true that I know this is something that needs to be explained. It’s just that I have never seen this as a defeater for the faith. As long as we have the resurrection of Jesus I think Christianity is true. With that, evil is an anomaly, but we have the essential question answered in the resurrection. Why trade an essential for a peripheral? Also, this is not because I am unfamiliar with suffering. Right before I turned sixteen, I had scoliosis surgery to correct a curvature in my spine. While other boys were working on driving, I was working on walking. I spent a year in great pain recovering. I also have Asperger’s and went through a time of great depression and anxiety with panic attacks. Today, I am unemployed as I write this. My wife, also with Asperger’s, struggles with a number of other conditions. Therefore, I am not a stranger to suffering. Despite this, I know other people are. I have often told people that I teach in apologetics that if you are ever a pastor and a young mother comes to you crying because her son just died in a car accident, you’d better not be an apologist at that moment. What she needs then is a pastor/counselor. There will be time to discuss the questions later, but for now, let her work through the emotional pain. A lot of people unfortunately hold on to such emotional pain and that is one reason the problem of evil is so gripping. All of us have this sense that something is not right with the world. For some people, like myself, this creates a drive to seek to go out and make the world a better place. For others, this blocks them from fully getting to experience their life and in such a case, the problem of evil needs to be answered. 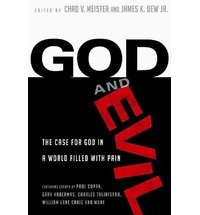 Enter God and Evil (G&E from now on) edited by Chad Meister and James K. Dew Jr. Readers of this book will be pleased to see a number of known people in the field commenting such as Greg Ganssle, Paul Copan, William Lane Craig, Gary Habermas, William Dembski, and Francis Collins. Some names will surprise such readers. We might wonder why the natural sciences are getting involved, except for the fact that evolution is part of this as well. Does it answer the problem of evil or is it a problem that needs to be explained? That’s another benefit of this book. Which side does it take in the question of evolution? Both. There is an essay by Dembski first critiquing the views of someone like Karl Giberson in thinking that evolution is an answer to the problem of natural evil and bad design. Then, the next essay you read is Giberson himself writing with Francis Collins. Thus, the book does not just have one view, but speaks with several views so that anyone reading can find something. There are essays on most every aspect of the problem of evil. An essay like Gary Habermas’s is an excellent one for pastoral situations. People who have followed his ministry closely know plenty about his usage of cognitive-behavioral therapy in helping people overcome emotional doubt. In my opinion, if this essay could be grasped, then most of the other essays would not be needed. Paul Copan’s essays give an excellent look at biblical material, including passages that make it look like God is the source of evil. He also does not rehash what he did in “Is God A Moral Monster?” Copan’s essays in G&E instead take a look at original sin and how Christians have interpreted it and what the relationship is between God and evil. Greg Ganssle has an excellent essay on evil as evidence for Christianity. As he points out, it is hard to see how the problem of evil could be a problem for Christianity when Christianity itself assumes that there is great evil. Evil is so much of a problem that it takes the death of the Son of God in order to make things right in the world. This will be one of the most helpful essays to read. Some essays I didn’t think really delivered. Surprisingly, I had a major disappointment with Bill Craig’s essay. In it, he dealt with universalism and the problem of hell using his molinistic theory. Now I have a problem with the theory as well seeing as I think it doesn’t work to say every person who would not believe was born where they would not hear, particularly since what each person is in part also depends on their parents, but the biggest problem I had with this one was that there were no footnotes. I have no references to the universalists that Craig is dealing with or the works of philosophers who will support his beliefs. I realize Craig’s is a big name in apologetics, but I would hope it is not so big that we are reaching the point where it is just Craig’s say so on a matter. In this, I mean no disrespect to Craig. I am pleased he is on our side and I think he’s an excellent debater. It is just the statement that I wish I knew his sources on this material. I thought a chapter on Hell that left room open for post-mortem evangelism was problematic as well seeing as not once was Hebrews 9:27 discussed that I can remember. Some readers who hold to a view of post-mortem evangelism might think that they have an answer to that. If so, that’s fine, but if you are presenting a paper to convince someone of your position, it doesn’t help to ignore a verse that most people would strongly think mitigates against your view. While I would be more prone to side with Dembski in his argument, I found his essay less convincing than Giberson and Collins’s. Yet in their essay, I found the problem that they thought there would be no proof either way on the debate over the existence of God. I think Dembski has a great point that is shown in his book “The End of Christianity”, but I also think that Giberson and Collins have an interesting argument on how if theistic evolution is true, it does help deal with the problem of natural evil. Readers will also be pleased that in the end of this book is a transcript of a debate between Bill Craig and Michael Tooley. I believe Craig did quite well in the debate, but that might not be saying much since Tooley did so terribly, including lack of study in biblical arguments. It boils down to “God does stuff I don’t like, therefore He’s wrong.” There is no looking at the Amalekite culture, or the fact that the Egyptians were enslaving Israel, or could it be that Jesus did not mean what Tooley thinks he meant by his second coming? (Note, he never calls it the second coming. As an orthodox Preterist, I see it as something different) Note also Tooley kept saying that the majority of people would go to Hell. I do not find any biblical basis for this. One criticism I have with G&E is that as in too many other books, good and evil I did not see defined. It is treated as if we know what they are instinctively, and yet nowadays when I debate evil and morality with non-Christians, I always try to start us off with defining what goodness is. If we can do that, and I do so with a good Thomistic metaphysic, it can really deal with a lot of objections, including the joke one Tooley uses of Stephen Law’s “evil god” argument. Despite that criticism, my overall response to the book is quite positive. There is much in here for someone to learn and I believe much of it is accessible to the layman. G&E will help to prepare the Christian for the discussion of the problem of evil, but let us hope that more than that, that Christians who read this will go out and deal with the problem of evil directly, starting with the evil in their own selves by modeling good Christlikeness. Therefore, I conclude that this book is one for those interested in this topic to put on their list. There are a number of highly educated minds who have shared much for you to learn from. Is GEICO the Mark of the Beast? Reads for Fun: Hampton Sides' "Blood and Thunder"